So whilst the weathers been fair this neck of the woods, at least for the last couple of days, I thought I’d drop a quick update for the backyard weather report and sort out a new journal idea, following on from the previous Home Grown Journal that was started earlier in the year and just for the record, i thought, sharing the code used for the now in the new spreadsheet, sorta seemed like a plan. Working on the fly and going with the flow works for us, so using a second hand pc is the way forward for the now. Over the last couple of weeks I’ve hummed and harred about the best way forward and ultimately decided to go with Ubuntu Studio. Probably the main reason being for the choice, is that it’s a brand new journey for yours truly and that’s never a bad route to take. I couldn’t just drop by and get a new machine, to be honest one ain’t in sight for quite some time. That’s not a moan, just a fact of life and to be honest, we’re more than happy just to go with the flow and let the future look after itself for the now. Recycling and kicking life back into an old pc whilst creating new memories, learning something new along the way, using a brand new OS whilst getting to grips with what We Can Achieve over time. We’ve never been about wanting more, more a case of achieving more. This space is and most likely always will be about doing what you do with what you’ve got! So here for the now is the link to Septembers Page for the home grown journal. I’ll get round to adding the rest inabit for sure. 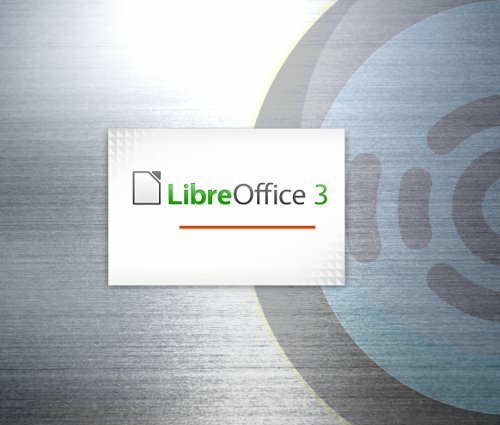 I’ll drop by with links to the other software that I’ve been using eventually, but for the now and without further ado or woffle I’m using LibreOffice 3 Calc (spreadsheet). Maybe you would go about whatever alternatively and do things a different way and that’s what rocks about life! We’re all different and that’s the spice of life for sure. Getting the job done by oneself, learning something new and just maybe every now and then getting a little help along the way from thy online friends. So here’s the code that was used to sort out the calculations. 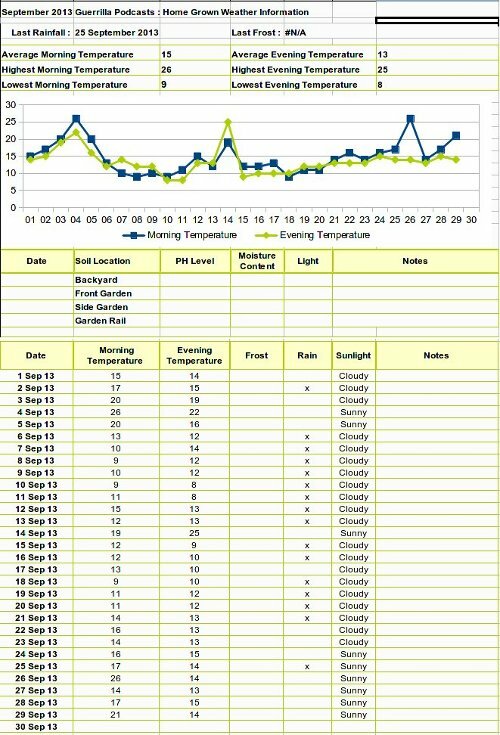 Starting off with the table for the morning and evening temperatures, including the rainfall and obviously not forgetting the dates, this was the initial starting point. So now that we’ve got the info from the top of the range thermometer, located in the backyard, it was time to calculate the average temperatures for both the morning and evening to get back on track with the home grown journal. I also wanted to have the date show for the latest rainfall in the month and the latest frost if appropriate, hopefully not at the moment anyways, though the code was added just because it seemed like the right thing to do? So when you enter an x in the appropriate column, rainfall / frost, that particular date will now be shown in the Last Rainfall / Last Frost cell. In other words the x in E28 above shows rainfall on 2nd September 2013. That date will appear in the resulting box for Last Rainfall. Anyways, if this makes any sense to you nice one, at the end of the day I’m working with and using something new, Ubuntu. Which I’ll get me head round in time, using the free open source software to create whatever on an old pc. Here be the resulting new thought process for getting back on track with the Home Grown Journal : Guerrilla Podcasts Home Grown Journal for September pdf, created using LibreOffice 3 and Ubuntu, not forgetting Gimp to sort out the images and filezilla to ftp. Sorted & Cheers for dropping by as i get back on track with the home grown journal.